Motivation Monday | When is the Right Time? As usual the days are flying by, and before you know it we will be entering another year. It honestly feels like so much has happened and frightening to know that more is still to come. Time is a funny subject. It always has been and always will be. We figure “Everything takes time” and also remind others that “Time waits on no man.” It really makes me wonder, so when is the RIGHT time? There are quotes which show you that time is limited and if you want to achieve something you need to start acting now. Then, there are others which tell you to slow down, appreciate the current moment because good things take time. Isn’t this some form of contradiction? A. Trust and believe that everything is as it should be, and wait for the forces that be to make everything else “perfect“? B. Take action now and try to put your own life into perspective? You see my dilemma right? But what’s stopping me? The usual, FEAR. Fear of rejection, failure, criticism etc. How do you get pass that? Just START. Start somewhere; start anywhere. Just do something today. 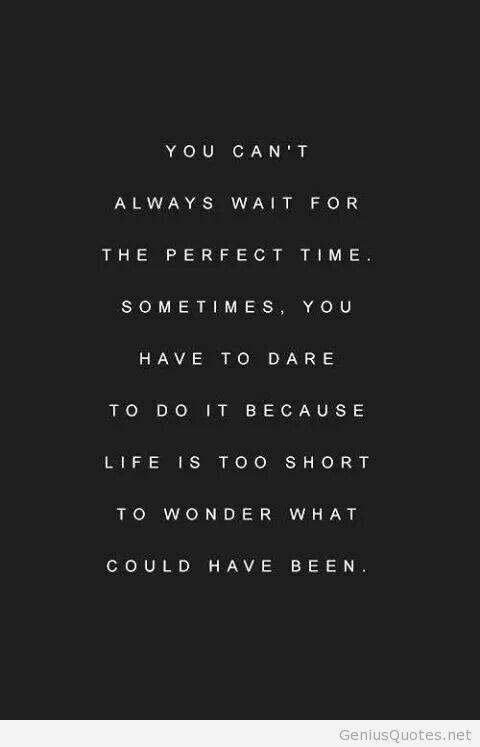 The RIGHT time is NOW. Yep! Having the same dilemma right now. 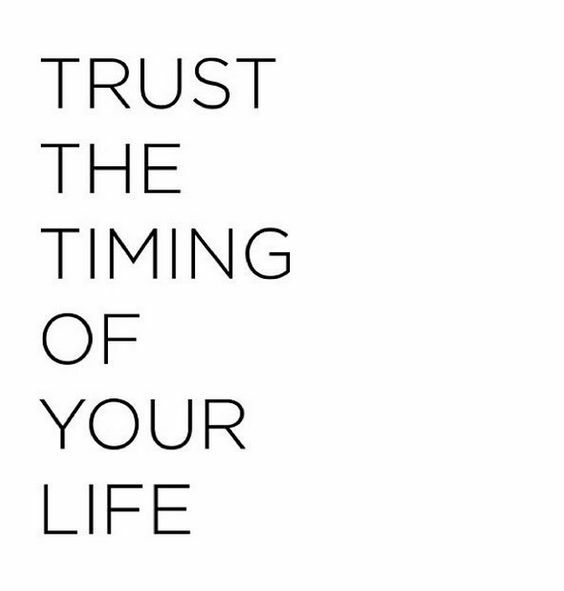 If I take action, am I not trusting that timing is right in my life? Am I not trusting God? But if I don’t take action, am I being complacent? Lazy? I kind of just keep doing things and then questioning them/myself, but it’s so powerful when we know for sure what direction we’re going in. Here’s to both of us figuring that out!